A boat, nets, traps, hooks and lines: This is the gear the fishermen of Newfoundland’s sleepy hamlets have relied on for centuries. The last tool they thought they’d need to earn a living on the high seas was a high-speed internet connection. These fishermen are some of the Canadians most affected by a push by the federal government to phase out in-person counters in favour of online applications for fishing licenses. The move has left them struggling to adapt to the online world as the rhythm of the ancient trade is disrupted by technological shifts. “This is an age of change,” says George Feltham, a fisherman for 33 years. He says many of his colleagues who are older than 50 find it difficult to adapt because they didn’t grow up with technology. And without the proper infrastructure or skills to navigate the digital world, they’re left to sink or swim. Many of the province’s tiny fishing villages don’t have access to broadband internet, stuck with the dial-up internet most Canadians left in the last millennium. The connection is frustratingly slow and unreliable, but it’s now a required tool for one of the province’s most important industries. The plight of Newfoundland’s fishermen is reflected in rural communities from coast to coast to coast, where residents have limited internet accessibility yet are expected to complete an increasing number of everyday tasks online. As the world digitizes, the Canadian government has fallen behind its global peers in connecting its citizens, and that’s creating a digital divide that can exacerbate inequities between rural and urban, poor and rich, and aboriginal and non-Native Canadians. Fishermen fear the new online licensing system will put a greater strain on their already volatile business, where profit margins are tight. Sending employees into an online maze of forms can eat up precious time and resources. 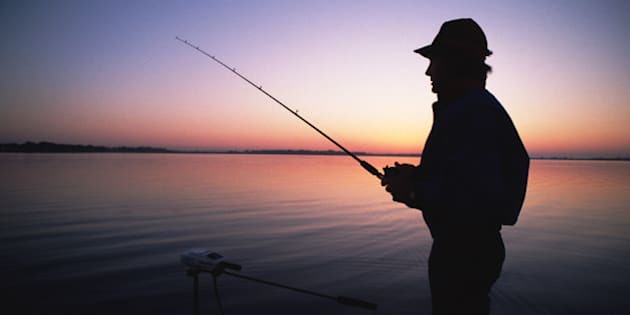 Some fishing-license seekers have spent hours trying to connect to the site, only to be kicked off. Others have given up on their slow home connections, or simply don’t own computers. Since the changes took hold earlier this year, there’s been an influx of fishermen seeking out the online registry in their local MP’s constituency office. Problems with technology affect 60 per cent of the fishers in rural Newfoundland, Feltham estimates. He lives in the 1,200-person community of Eastport on Newfoundland’s touristy Bonavista Bay, a village considered large and strategic enough for high-speed access. But his friends in the next town over, just seven kilometres away, still rely on dial-up. The federal government declared in a 2001 report its commitment to making broadband access available to all communities in Canada by 2004. A decade later, 15 per cent of rural communities still lack access to broadband. While eight out of ten Canadian households are connected to the internet, there is no cohesive national broadband strategy to connect the last 20 per cent, and the government instead relies on the private sector to fix the digital divide, said telecom analyst Eamon Hoey. “What we’re seeing is bad public policy all around and it’s been going on for the last 10 years,” he said. The government last year ended the Broadband Canada Program, a three-year, $225-million investment to bring faster internet to underserved areas. That same year it also ended funding for the Community Access Program, which brought public internet access to rural communities, after an evaluation found "it may have outlived its usefulness as a means to bring the internet to communities across Canada." But many experts who work in underserviced communities argue the cancellation of CAP has left them even further behind in the digital economy. Netflix chief content officer Ted Sarandos raised the ire of telecoms last year when he said Canada has "almost third world access to the internet." The government has tried to push carriers to connect more of Canada to broadband, and recently warned the big carriers that if they don’t stop hoarding the wireless spectrum that could bring high-speed internet to rural areas, they’ll lose it. Because of Canada’s vast geography and sparse population, there’s little return on investment and therefore little incentive for carriers to spend money to lay down infrastructure in rural and remote areas. Rural areas also have lower likelihoods of adoption due to other socio-economic divides, including lower income and literacy levels, that make it even more uneconomic for carriers. It would cost $7 billion to close the urban-rural digital divide, telecom provider MTS Allstream told the CRTC in 2010. Still, Hoey doesn’t buy the argument that Canada’s expansive geography and low population is a unique hurdle to universal access to broadband, citing successful strategies in countries like Australia. It faces a similar expansive divide between urban and rural populations, but spent $43 billion to connect the country. China, a country that also has sparsely populated areas, has announced plans for national broadband coverage by 2020. In the U.S., the National Broadband Plan set out in 2010 to achieve a standard of affordable 100 megabits per second broadband for 100 million homes by 2020. By comparison, Canada’s federal regulator has set a national speed target of five megabits per second and with about a year to go, about 12 per cent of Canadians remain far from that target. The U.K. spent 1.9 billion pounds to bring broadband from the capital to the countryside. Norway is a role model for digital literacy, setting a standard of “digital competence for all” by teaching it as a basic subject in all schools. In Spain, Estonia, Greece and France, internet access is considered a human right. In lieu of a national strategy, provinces including Alberta, B.C. and Nova Scotia have adopted their own unique solutions to bring high-speed to underserviced areas. But access can still be prohibitively expensive for those in Canada’s most isolated regions — where a connection to the outside world can mean life or death. Nunavut, Canada’s northernmost territory, got a sense of life without connection when their connection to the Anik F2 satellite went dark for 16 hours in 2011. A lack of broadband access was just one of many issues for Nunavut’s 30 communities, which rely on satellites for communication. Cell phones and long-distance telephone calls were disconnected. Credit cards and ATM machines were out of service. Planes couldn’t land or take off from the fly-in communities, meaning no supplies could enter and those with a medical emergency could not be airlifted to a hospital. Canada has become a country through centuries of nation-building — in the 19th century it was the railroads, and the 20th century focused on the Trans-Canada highway. Connecting to the information highway should be considered the nation building project of the 21st century, Spinu said. The federal government and private sector have so far invested $66 million to connect Nunavut, but millions more are needed if the territory is going to reach the national goal of five megabits per second, she said. Rogers and Bell formed joint-venture Inukshuk Wireless nearly a decade ago to bring better connection, but have so far fallen short in their promised goal to improve internet access in the north, part of the reason the government warned telecoms last month against “hoarding” spectrum. Nunavut, a region with just 36,000 residents spread across a landmass nearly three times the size of Texas, has the lowest service levels and the highest monthly costs, Spinu said. The average Canadian downloads 28 gigabits and uploads five gigabits each month — in Nunavut that much bandwidth would cost $450 a month, she said. Netflix and other video streaming services are out of the question. But the high costs and slow download rates have implications far more dire than missing out on the latest TV shows. Residents are reliant on online banking because most communities don’t have a brick-and-mortar bank. The internet is the best connection government services and administration offices have to the central bureaucracy in Ottawa. Those looking to upgrade skills often turn to online training but can easily blow their monthly data cap on one course. The internet household penetration rate in Nunavut is 59 per cent — about 20 percentage points lower than the Canadian average. “In Nunavut, income, or more accurately, poverty is a significant factor in limiting internet adoption,” Spinu said. Without a more coordinated public policy effort on telecommunications in the north, communities could fall further behind in development, she added. Chief Denise Restoule of Dokis First Nation believes internet connection is a necessary step toward economic development. She made getting high-speed internet to her band members a high priority as soon as she was elected in 2006 to lead the reserve comprised of two islands where the Georgian Bay meets the French River in Ontario. Restoule wanted to put an end to the frustrating experience of slow and expensive dial-up, which was costing the band administration office alone thousands of dollars per month. The internet has since become instrumental in the daily lives of band members, most of whom are connected to high-speed for an initial $250 hook-up charge and then a reasonable $60 a month. “It opened doors once we had that high speed,” Restoule said, describing it as crucial infrastructure that could help foster a more vibrant economy that will entice more of the 1,200 band members to stay on the reserve. The community has since negotiated a joint-venture partnership in the massive Okikendawt hydro project that Restoule believes will bring economic development to the community. The band’s website provided information on that dam to members, so they could learn about the development before voting on whether they wanted it. The next fight is for cell service, though Bell and Rogers have said they’re not interested because they’d see a low return on investment due to the small population.